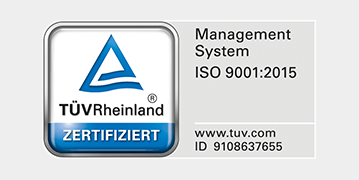 CALORIC Anlagenbau GmbH, one of the leading European companies in the field of development, planning and construction of gas production plants and waste incineration plants for the chemical and pharmaceutical industry, has been awarded in August 2017 with the new DIN EN ISO 9001:2015 certification by TÜV Rheinland. CALORIC’s first certification according to DIN EN ISO 9001:ff was awarded already in 1996. The decision for the implementation of the DIN EN ISO 9001:2015 standards took place in 2016. It is CALORIC’s goal to document externally the constant improvement of all business processes and quality requirements in compliance with the DIN EN ISO 9001:2015 certification.